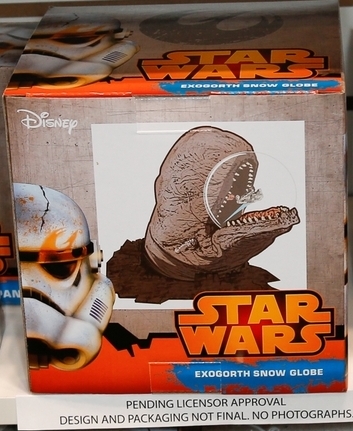 Think Geek are displaying the preproduction boxes for an Exogorth snowglobe at this years International Toy Fair. Interesting. This will display nicely with my Sideshow Space Slug diorama. Again, there is no information on price of availability. This entry was posted in Things that i don't have yet... and tagged Millenium Falcon, Millennium Falcon, Space Slug, Star Wars. Bookmark the permalink.